The Original Women's Gloves take the female anatomy into consideration without sacrificing durability or performance. Mechanix Wear uses Spandex to create a glove that fits comfortably and allows you to maintain a range of movement to do your job properly. These Originals also feature Thermal Plastic Rubber (TPR) with hook and loop closure around the wrist so there's no worries that these gloves will slip off. The palm is constructed in one layer with no seams to avoid that uncomfortable bunching. 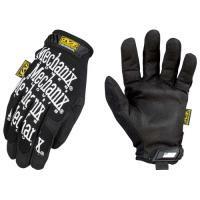 Mechanix Wear's Original Gloves for women are washable in your regular laundry.